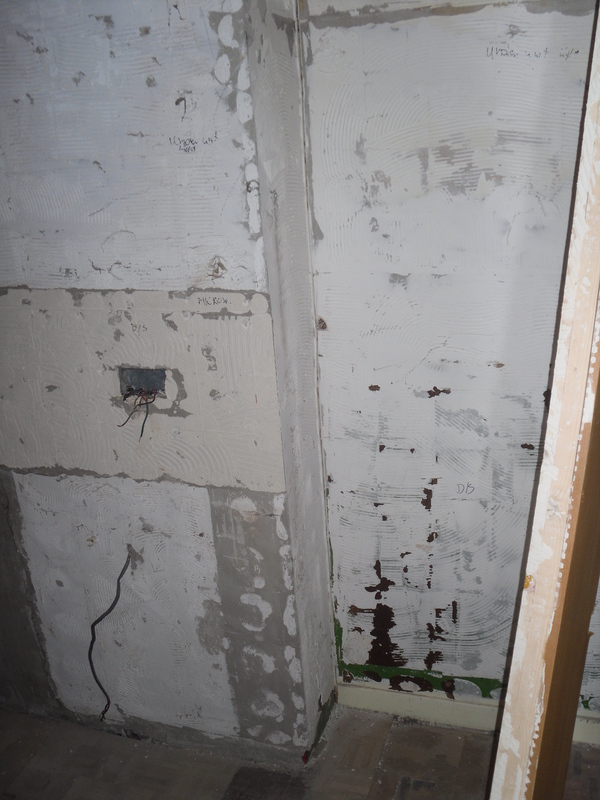 Our renovation experts have been busy demolishing, tearing down and stripping out the fixtures in the house. 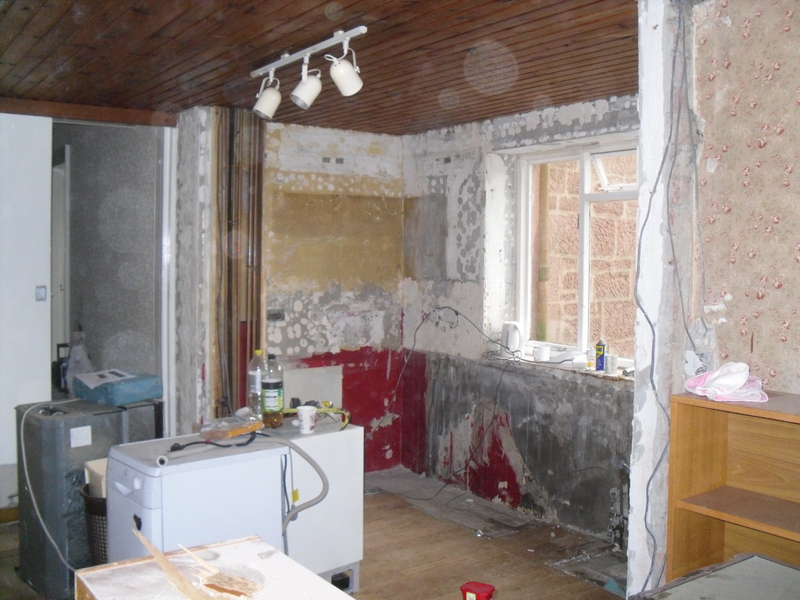 The kitchen and the tiles have all been removed. All the speckled dots are what is left of the tile adhesive. I am not sad to see the back of the the laminate wood effect wall panels. Notice the floral wallpaper? 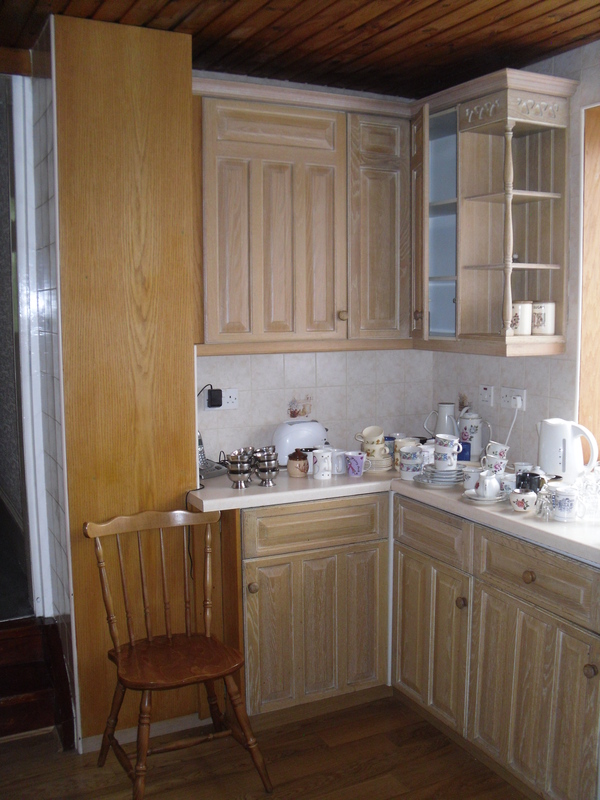 It is easier to imagine the new kitchen now that the old units have been removed. 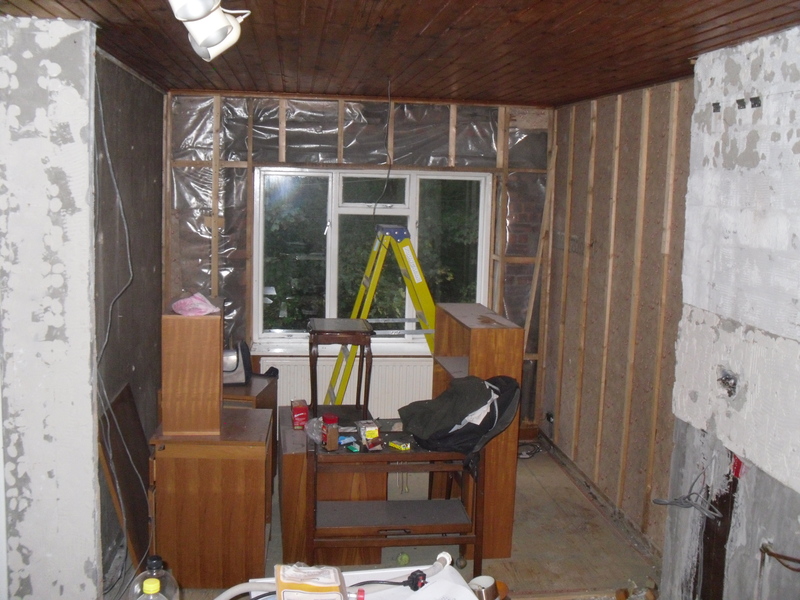 We have a slight problem however in that the removal has shown that there is a deep space that will need to be covered with plaster board to allow for a streamlined set of units. One slight spanner in the works is that there is a deep gap where a flat wall should be. We’ll need to get it covered up with plasterboard so the kitchen actually fits! 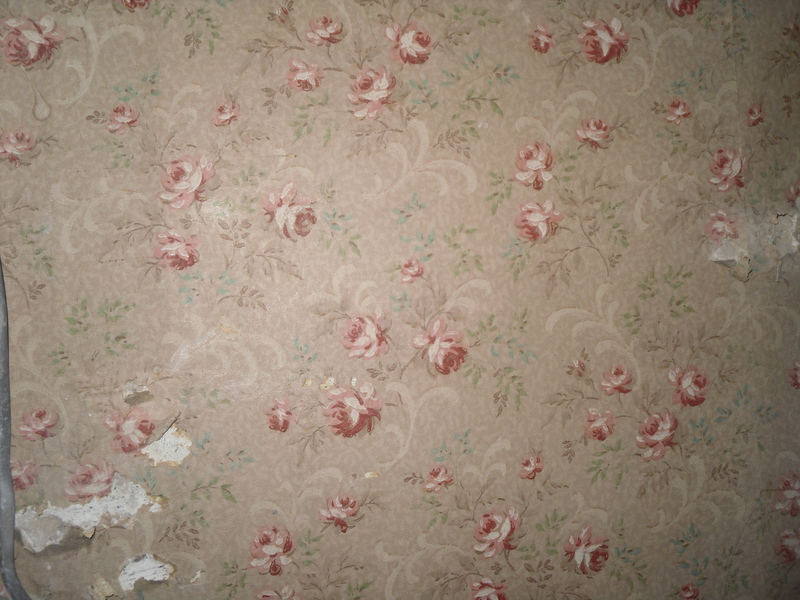 Do you like the fancy wallpaper that has been uncovered? So there was a wall that was painted, then covered by wallpaper, with a lovely level of wood panelling to finish it off. I think that is about 12 wallpapers we have discovered. What is it about folk not removing wallpaper? Get it off folks! Get back to basics. I think its is pretty sweet wallpaper though. 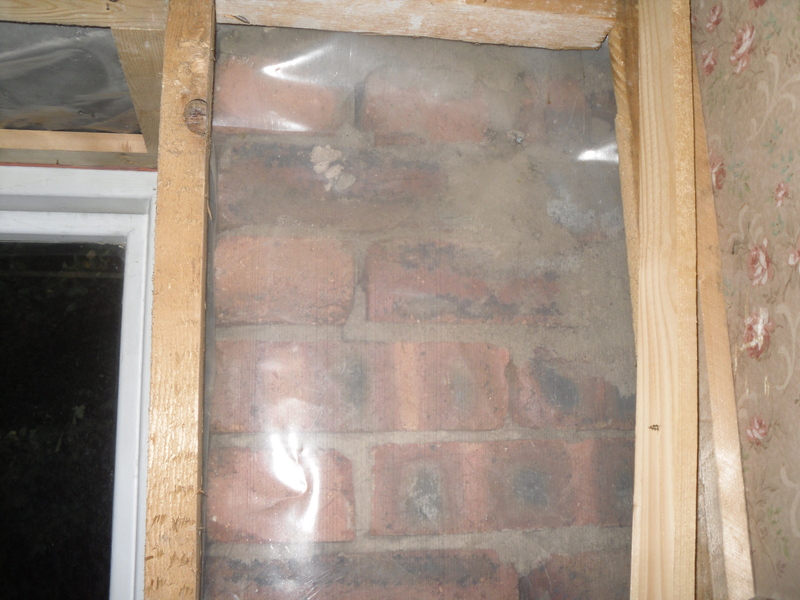 Some of the walls didn’t even get that treatment – behind the wood panelling there was just wall and a plastic sheet between us and the elements. And what comes out of the house must go somewhere else. The pile of rubbish is getting bigger by the day. 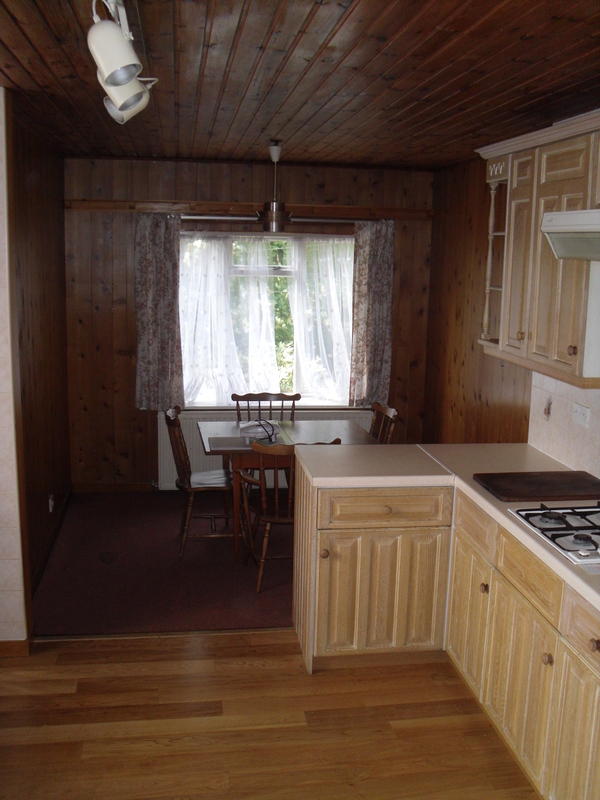 Thankfully the skip we’ve ordered is arriving tomorrow so it will be kitchen be-gone and rubbish be-gone! Mountains have moved since Sunday. Have you got an army of removers.with sledge hammers? An added bonus is the weather is dry. It was just one guy on Monday! They are pretty impressive workers. Going back tonight so will see what the progress is. Electricians have nearly completed their wiring and first fit. Full steam ahead.